Special education software provides tools for school teachers and administrators to manage the Individualized Education Plans (IEPs) of qualified special needs students. Special education software is designed to handle all aspects of IEPs, which are meant to address each student’s unique educational needs and learning objectives with specific goals agreed upon by both educators and parents. Special education software products are used throughout the education industry to help facilitate IEP compliance checks, evaluations, and other reporting features per state requirements. Many products also include features to streamline the production of IEPs and evaluation documents. Some special education tools track data related to disabilities, case management, and other relevant services for high visibility and quick progress reporting. Special education software frequently integrates with student information system (SIS) software, while some features may be shared with study tools. Special Education reviews by real, verified users. Find unbiased ratings on user satisfaction, features, and price based on the most reviews available anywhere. With PowerSchool Special Education, educators can develop and manage compliant, high-quality special education documents using intuitive guided actions and business rules aligned with IDEA and other federal and state laws. Use reporting to manage compliance, identifying timelines and which teachers are on track or which teachers have fallen behind. 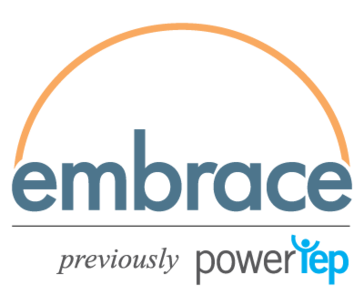 Embrace is a proficient and comprehensive software program designed to streamline the IEP, 504, Medicaid Billing, Teacher Evaluation, RTI process and reduce staff frustration. Embrace offers a comprehensive IEP experience by including state and core learning standards, an information tracking form, parental contact data logs, a variety of administrative reports, and much more! eStar Individual Education Program (IEP) application brings order to the creation and revision of student reports for teachers and administrators alike. Excent develops eLearning for transition planning & self-determination, and Special Education software solutions for IEPs, RTI and Medicaid. Frontline IEP is a proven state-specific solution with a track record of saving time and effort, improving compliance and reducing the complexity of managing Special Education programs and IEPs. SEIS provides centralized online management of IEPs and Special Education records. With IEPWriter.com, it's easy for education agencies to manage documentation for their special education students. This web-based solution allows professional staff to collaborate on Individualized Education Programs (IEPs) from anywhere they have a web connection, quickly and securely. Accelify's enterprise special education software and best-in-class consulting services help school districts strengthen special education operations and compliance and maximize Medicaid reimbursement. Providing unprecedented visibility tools to all layers of a special education department, Accelify's systems encompass everything from workflow-based plan development and management (e.g. IEP, 504, RTI, IFSP, ELL, Gifted) to related service resource estimation and allocation, and the world's most robust set of scheduling, tracking, and billing systems for special education services. Accelify’s solutions are proven to make school district personnel more efficient and effective while generating a significant return on investment in increased Medicaid reimbursement and more efficient utilization of district resources. SEAS Achieve 2.0 supports all school district education plan types including IEP, Academic and Behavior, RTI, Section 504, English Language Learner, and Gifted. Unique Learning System is an award-winning, standards-based curriculum specifically designed so that students with special needs can access the general education curriculum. This personalized system allows you to spend more time engaging your students in valuable learning time by providing differentiated lesson materials, detailed lesson plans, standards alignments and evidence-based teaching strategies with data-driven results. SunGard's K-12 special education management solution is designed to meet your state's needs. SunGard's individual education plan (IEP) software can help with a variety of functions. Mileposts is a Student Achievement Solution that enables schools to create personalized learning plans, manage interventions, monitor achievement and gain insights to improve instruction to any class, group, or individual student. Simplify Special Programs is a user-friendly program that allows K-12 staff to write, manage and report special education documents online. Compass Learning is a K12 learning acceleration software for blended learning, intervention, high school, and inquiry-based personalized learning. 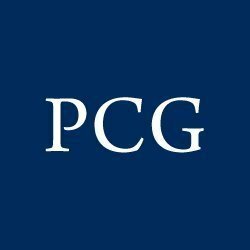 PCG Education is a leading provider of comprehensive, Web-based student case management solutions for special education. The e-IEP PRO, developed by MediaNet Solutions, Inc., is a customizable, web-based software that simplifies the management of the special education process. EVOLVE is an efficient, feature-rich and user-friendly special education solution available.Its cutting-edge web technologies provides an intuitive environment for collaboration, knowledge transfer, needs assessment, specialized curriculum delivery and tracking. SuccessEd combines the latest technology with expert knowledge and experience to put time-saving data management tools in the hands of educators which track compliance and services provided to students in special education, Section 504, Dyslexia, RtI, Medicaid, ELL, and behavior programs. Adori is our web-based integrated IEP software and special education management system. With a focus on compliance and efficiency, it is a total special education management process at your fingertips. AcceliDATA provides you with instant insight into all elements of your special education program. With a variety of reporting tools, Accelify provides the data you need to get answers and take action on critical items impacting your program, such as compliance with student IEPs, staff performance, and Medicaid billing. BeDoc is a SPEDASSIST top pick for educators and administrators that is looking to bring technology and behaviour management together to achieve better student outcomes. ELLA shares meeting decisions with other products for your twice-exceptional students, promotes quality planning, allowing the LPAC to function on the behalf of each ELL, accelerates the meeting, process to give you more time with kids and less time on keyboards, is more than a compliance tool; it tracks student accommodations and achievement. EnrichEPM module allows districts to automate the educational process elements to provide efficient data management, reporting, performance dashboards and predictive analytics. Enrich RtI module accurately tracks interventions and monitors student progress in a centralized location allowing you to determine each interventions effectiveness. Enrich State is a special education data system designed to collect and manage all IDEA and state level compliance requirements for special education program management. Focus on STEM Digital Edition is a supplemental classroom e-library of 60 unique non-fiction titles addressing science and math for students with mild, moderate, and severe disabilities. IEP4U is a management solution for individualized education programs. IEP PlaNET facilitates the development of IEPs that are compliant with federal and state regulations and demonstrate the quality of a process proven over time. IEP PlaNET enables districts to achieve greatly improved efficiency in all aspects of special education service delivery. IEP Writer provides web-based Individualized Education Program (IEP), NOREP, Permission to Evaluate, Evaluation Report, Functional Behavioral Assessment, and other mandated documents to school districts to help meet the needs of their special education population. Matrix Maker Plus software is designed to allow users to create communication overlays and educational resources with ease. Context-based instruction that helps special education students overcome their difficulties with comprehension, problem solving, organizing, and communication skills. At n2y, we know that you need the right start to feel confident teaching a new program. And we know that schools and districts are expecting their new program to make a measurable impact on student and teacher achievements. This comprehensive end-to-end solution offers classroom readiness from foundation to advanced exploration, to certification. Positivity delivers proactive, evidence-based strategies to empower individual self-regulation and executive functioning. PowerIEP is a proficient and comprehensive software program designed to streamline the IEP process and reduce staff frustration. SymbolStix PRIME is the most relevant, symbol search engine and materials creation platform available anywhere. It is for individuals with communication and learning needs, as well as beginning writers and ESL/ELL students. Delivering a dynamic and personally relevant symbol set, SymbolStix PRIME brings a fresh perspective on routine, day-to-day concepts and offers activities that are educationally relevant. Why Use Special Education Software? Who Uses Special Education Software? Special education software provides vital support for special education services providers. Solutions in this category contain a multitude of tools that allow special education professionals to create plans, maintain accurate records for billing purposes, track student progress, and stay compliant with the federal and state regulations that guide the special education sector. Special education software contains a wide variety of features facilitating the easy creation of IEPs and 504 plans; in addition, these solutions integrate with student information systems (SIS) to provide a single source for all student data within an educational institution. Special education software provides multiple benefits to special education professionals. The software makes it easier to create IEPs, track individual student progress, establish clear communication channels between teachers and parents, and more. The proper communication of student goals and progress to parents is especially important in cases where special education services are needed. Create IEPs – Special education software creates IEPs for special education professionals to plan out an individual student’s education track. IEPs are mandated by the Individuals with Disabilities Education Act (IDEA), the federal law that guarantees all children access to an appropriately structured, free, public education. Although the myth that only students with severe intellectual and physical disabilities have access to special education persists, the reality is that students with attention difficulties and mild learning disabilities also have a right to special education services. The IEP is the base of operations for all activities related to the education of the child in question. A well-defined and tracked IEP means a smooth transfer of information and defined clarity on what the goals of the student and teacher are in each situation. 504 Plan Creation – 504 plans are similar to IEPs but differ significantly in the laws that govern them as well as their end result. A 504 plan is typically less intensive than an IEP, but still addresses difficulties experienced by students who qualify for additional attention. In both cases, IDEA mandates that students be placed in the least restrictive environment (LRE). To meet this standard, accommodations within the general classroom environment are made for these students. (A common example would be a student with ADHD being given extra time to complete a test or assignment.) Special education software contains features designed to let education professionals create and track 504 plans. Improve Parent-Teacher Communication – Parent-teacher communication is key to ensuring the success of a special education program. Special education software contains a multitude of features designed to facilitate open and honest communication between parents and their children’s teachers. Alignment between the home and school environments can prove a boon to creating and implementing an effective learning strategy. Teachers and parents can communicate as to what the individual student’s issues may be and how to best combat those issues. Teachers can take into account parents’ opinions and information regarding effective learning strategies. Ensure Compliance – IDEA outlines what rights students requiring special education have. The rights afforded to students qualifying for an IEP are outlined under IDEA, while the right to a 504 plan is derived from civil rights law. Schools looking to stay compliant with both of these statutes may use special education software to do so. Solutions in this category provide specific reporting functionality designed with the legal requirements for special education programs in mind. The primary users of special education software are teachers, school administrators, and parents. Each group utilizes solutions in this category in different ways. Parents use special education software to keep up to date on their student’s progress, as well as view school-generated goals and objectives. Teachers use the software to craft and distribute IEPs and 504 plans. School administrators leverage the data and reports generated by special education programs and use them to prove compliance with state and federal regulations, as well as to send billing information to Medicaid to cover the special education services delivered. Goals and objectives library – This is a content library containing prebuilt goals and objectives that can be selected by teachers and administrators in the midst of creating an IEP or 504 plan. This library of content streamlines the creation process for both types of documents and ensures some standardization across different teachers and departments. IEP creation – Teachers and administrators can use the web forms and templates this feature offers to create and collaborate on IEPs for those students who need special education services. 504 process creation – 504 process creation – Though not as intensive as an IEP, a 504 plan is also governed by law and demands careful attention. Special education software provides users with tools to easily create and distribute these plans to those in need of access. Regulatory compliance – Special education services are highly regulated, and special education software is designed to ensure compliance via industry specific reporting tools. Medicaid billing – This feature tracks special education services in order to maintain correct Medicaid-specific billing information. SIS integration – Special education students are part of the general school population, and solutions in this category help enable that through the integration with student information systems. By integrating with SIS software, special education software ensures that the SIS remains a single source of truth for all student data. Reporting – This feature ties in to compliance maintenance, as proper reporting is vital to maintaining compliance with federally mandated special education standards. Progress tracking – Special education allows teachers to track student progress against the 504 plan or IEP that they have created for an individual student. Response to Intervention (RTI) – RTI refers to using key student performance indicators to track whether a student may require special education services. Special education software often contains this feature, and the in-depth data can help identify students who are having issues sooner than usual. Assistive Technology — Assistive technology is growing in importance and scope within the special education industry. Assistive technology within the education industry refers to anything that can help students with various impairments or learning disabilities to learn in a better or more effective way. Examples include visual or audio aids to help students with difficulties processing spoken language or a speech-to-text program to help a physically impaired student with writing tasks. Additional examples include alternative keyboards, abbreviation expanders, graphic organizers, optical character recognition (OCR) technology, and portable word processors, among others. This technology can be implemented as part of an IEP or 504 plan, helping teachers to set accurate goals and provide their students the tools with which to accomplish those goals. Augmented Reality in Special Education — Augmented reality has begun to make its mark in the education industry as a whole, but a truly valuable application of the technology is in the special education subsection. Augmented reality and virtual reality programs can be used to provide an enhanced learning experience for those with learning disabilities, expanding the capabilities of teachers to cater to them. A student with dyslexia, for example, may learn more effectively with some visual or audio aids that can be provided via an augmented or virtual reality program. Special education software integrates with student information systems (SIS) software. Solutions in this category focus on a niche within the sector but fit in the general pool of education software within the public education sphere. While SIS is the primary category with which these solutions interact, they are tangentially related to a few other categories within the industry, including assessment software and admissions and enrollment management software. Hi there! Can I help you find the best Special Education solutions?